I called my local Walmart today, despite warnings from my Duck Dynasty-fearing gayborhood watch. Walmart is not too receptive to speech-based communication, it appears. Someone dropped the phone while I was on hold and I spent a blissful thirty seconds listening to an upside-down, reedy version of the Talking Heads’ ‘The Overload’ before someone got on, breathed heavily, asked me if I spoke Spanish, and then told me to call back later. I’m still not sure if I was crossconnected to an old 1-900 hotline or if someone actually picked up the phone. I was looking for red velvet M&M’s. I didn’t find them. It’s two days after Christmas and they’re already pulling Valentine’s Day candy, but I’m still clinging to the millimeter of filthy snow we have on the ground and the newness of my gifts. I got a haircut, and it rendered me raving glad, as every sweep of the razor made me feel lighter on my feet. My new suits are being tailored. 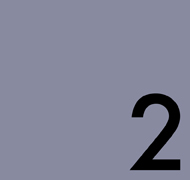 I’m determined to start the new year fairly well, even if I don’t end it with grace. I’m the Nancy Kerrigan of resolutions. I’m drinking coconut creme-flavored seltzer as we speak, right out of the bottle. Right out of the bottle. Such luxury, such waste. This is another Polar gem, and seems to come less straight from the mouth of the bear than the rear. 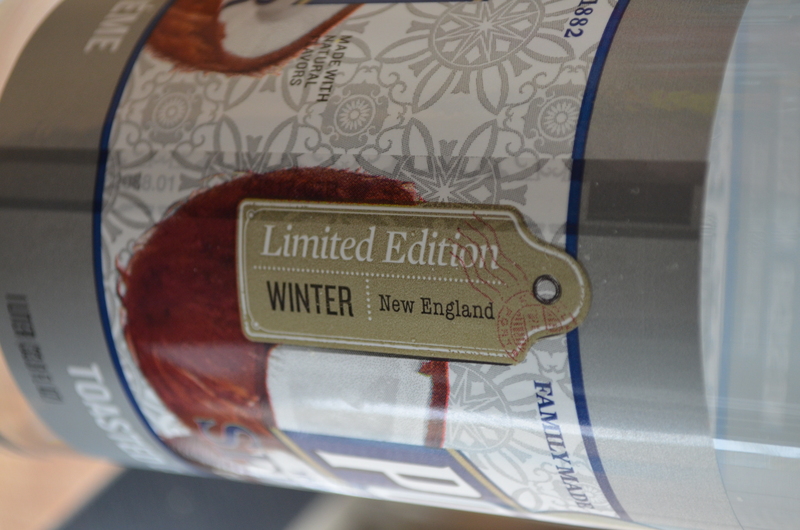 Coconut creme is not a Limited Edition Winter New England flavor, Polar. It’s…Jesus, it’s something. It’s the stuff of bake sales and failed marriage rekindlings. Someone makes a coconut creme pie, someone else crudely comments on the meringue. It’s all downhill from there, y’know? The seltzer is light, as they all are, but the flavor is thick and obtrusive within the delicacy of the beverage. The coconut errs a few too many SPFs to the side of sunscreen and tastes candied, sugary with each sip. It’s discordant on the palate. 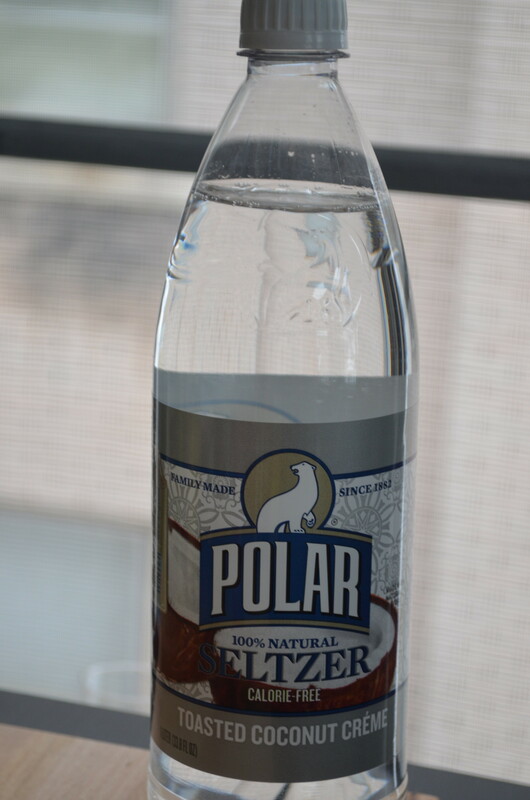 Usually, Polar Seltzer makes a decent mixer. But this would only go well in the type of cocktail named ‘Tryst’ or ‘Midnight Vomiting’ that they serve on ‘Ladys’ Nightt’ at a blue and pink-lit bar smack dab in the middle of Elizabeth, New Jersey, with a half-shot of Lixx and a $12 price tag. It’s winsome in its inception- yes, baked goods are delicious, and miserable to drink. Give me back that accent aigu. You don’t deserve it, and it’s not even correct. Whatever. I’m looking forward to 2014’s Limited Edition Winter New England selection, but only if I can cast my vote for peanut butter, Aspirin coating, the last sip of gin (trademark pending) and royal icing. The real reason for the season, natch. Anytime I’m forced to use a too sweet mixer – I toss in 2x its weight in vodka. Cuts the sugar taste right away – and anything with vodka is palatable! There’s a woman after my own heart! Found the Red Velvet M&Ms (my Wal*Mart is obsessive about holiday display demolition and reconstruction). They are… interesting. More successful in capturing the essence of Red Velvet than you might expect, but still not very enjoyable. There’s something about fake cream cheese flavoring in chocolate that just makes it taste slightly rancid. I will have to resoundingly disagree on your review. 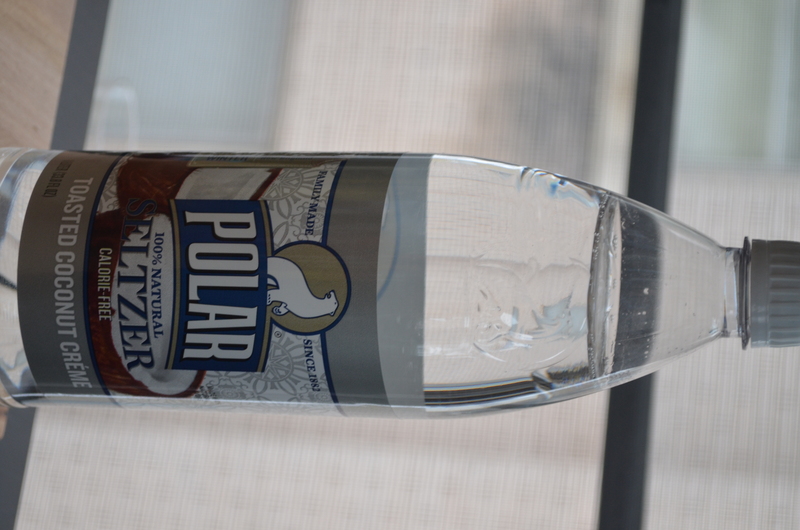 This is one of the best Polar Seltzer flavors that I have tasted!! I wholeheartedly agree that they should bring it back in 2014 and will happily purchase two cases! My local Wegmans carried it during the holiday season and I regularly purchased 10 bottles at a time. No discordance on my palate, just coconut bliss and trust me there are certain flavored seltzer brands that you should stay far away from….for example La Croix; Vintage; Shop Rite some of the flavors are down right cloying with a chemical aftertaste bitterness. No worries, Jess leave Toasted Coconut Cream Polar Seltzer for me. Now, Im not a ‘fan boy’ there are a few Polar flavors that I will pass on like…Fudge Cheesecake; Mint Chocolate; Mint Mojito; Cucumber Melon; Orange Creme. I would be remiss if I didnt give a shout out for Granny Smith Apple, also amazing! My love of seltzer also extends to Schwepps Black Cherry Seltzer and Poland Springs Black Cherry. Regardless of the review, happy to see the post. I agree that is the best flavored seltzer I have ever tasted Cannot find it anywhere. I would love to know where I can obtain it. My local stores no longer carry it.